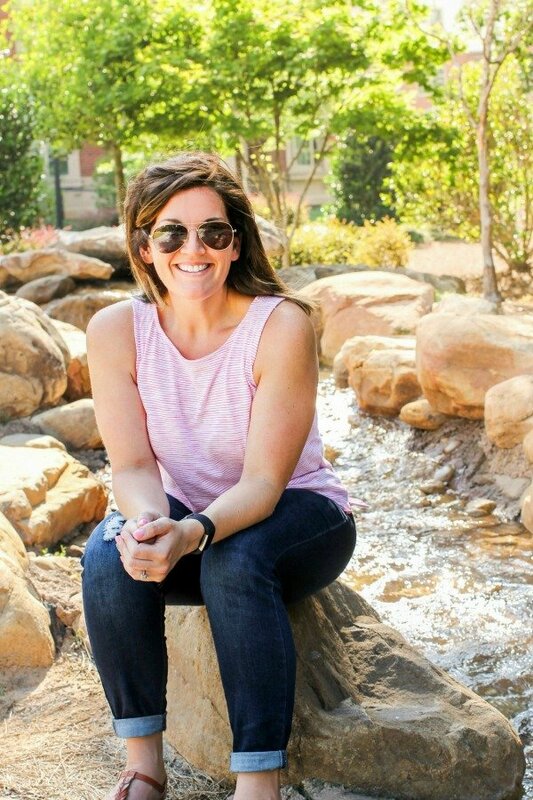 April 26, 2017 By Allyson 10 Comments This post may contain affiliate links. Read my disclosure policy. 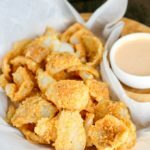 Making Outback Bloomin’ Onion Petals at home is so easy! I like making the actual spread apart onions too, just like from Outback, but I LOVe making these because they are NOT complicated at all! You don’t have to worry how you cut the onion or if it’s going to fall apart. Plus, I love these because they are really the perfect one bite snack! 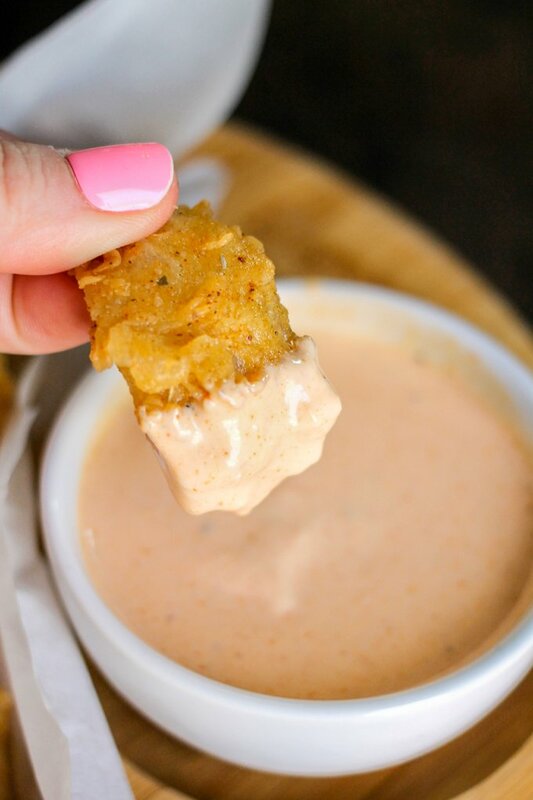 I’ve actually had the recipe for Copycat Outback Bloom Sauce on Domestic Superhero for years, and it’s always a hit! 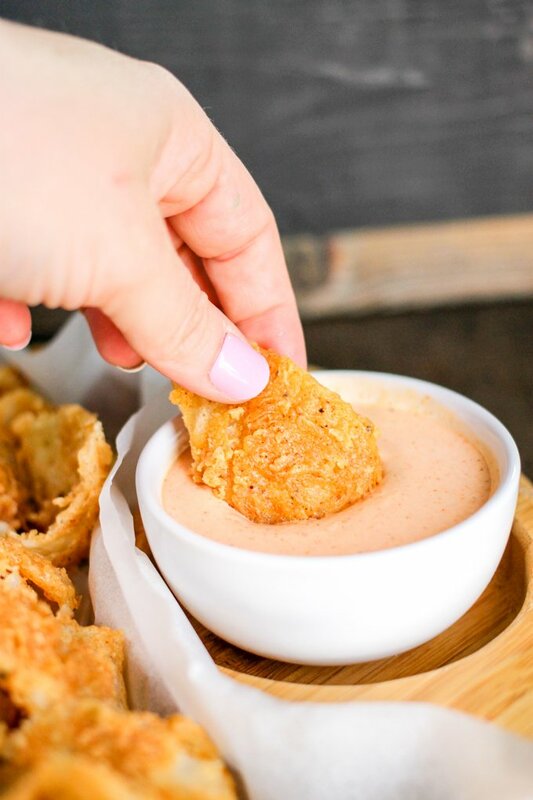 When I was making it on my live show a few weeks ago, I figured I show how to make the Outback Bloomin’ Onion Petals I always cook up to go along with it…after all, it’s super easy. To make the Outback Bloomin’ Onion Petals all you need to do is mix together a bowl of dry ingredients, and then a bowl of wet ingredients. Once you have the onions cut up, you dip them individually into the wet batter, then into the dry ingredients, and then repeat that. Yes, you want to coat them TWICE. This makes it so the batter really sticks to the onions and you don’t lose it all when you are frying it…that would be tragic. 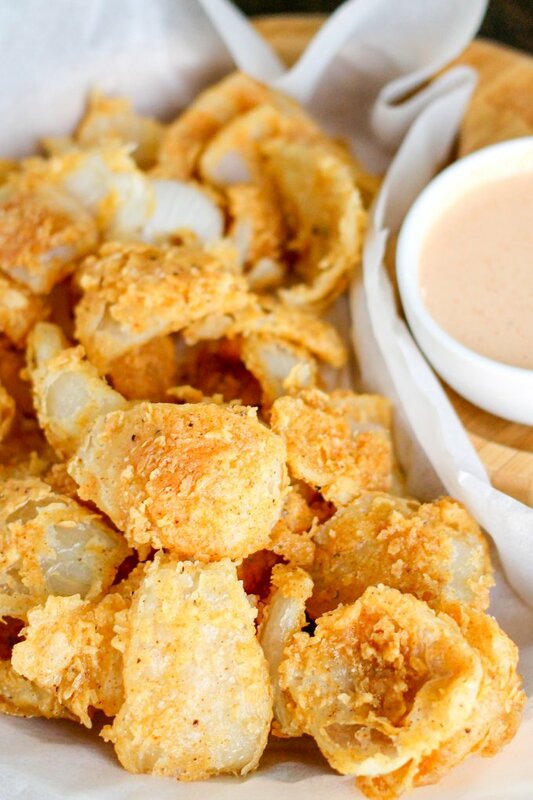 Outback Bloomin' Onion Petals taste just like the popular recipe! 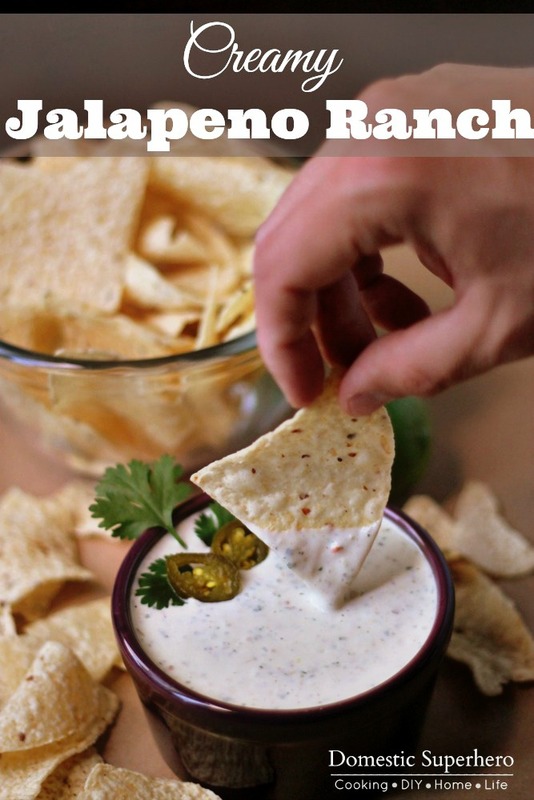 Pair them with the Bloom Sauce and everyone will be begging for more! Mix all your wet ingredients in a medium bowl. Mix all your dry ingredients in a small shallow bowl. Slice the ends off your onions, then cut them in half. Slice the onions into 1 inch petals and set aside. In a large frying pot, add oil and heat over medium heat for about 5 minutes or until hot and lightly rippling. To coat your onions, dip into the wet batter, then the dry batter, then back into the wet, and dry again. set aside and repeat for all petals. Drop them into the hot oil and let them fry for 3-4 minutes, then carefully turn them over if needed. Remove from oil and place onto a paper towel lined plate. Repeat for all the onions. 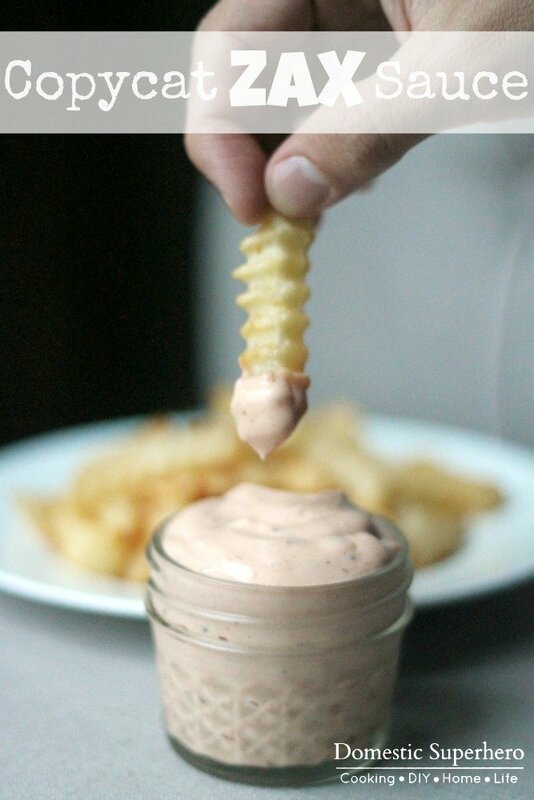 Serve immediately with Bloom Sauce. 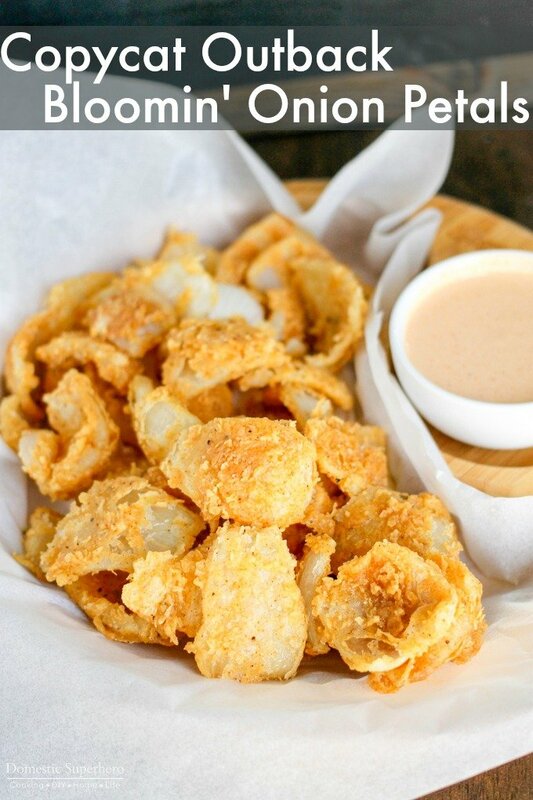 Don’t forget to serve these Outback Bloomin’ Onion Petals with the Outback Bloom Sauce! Hi there – since I haven’t tried it, I can’t say for sure. If you typically sub the rice flour, then it might work! I think it’s worth a try! Please let me know how it turns out! I haven’t tried that, but I bet so! 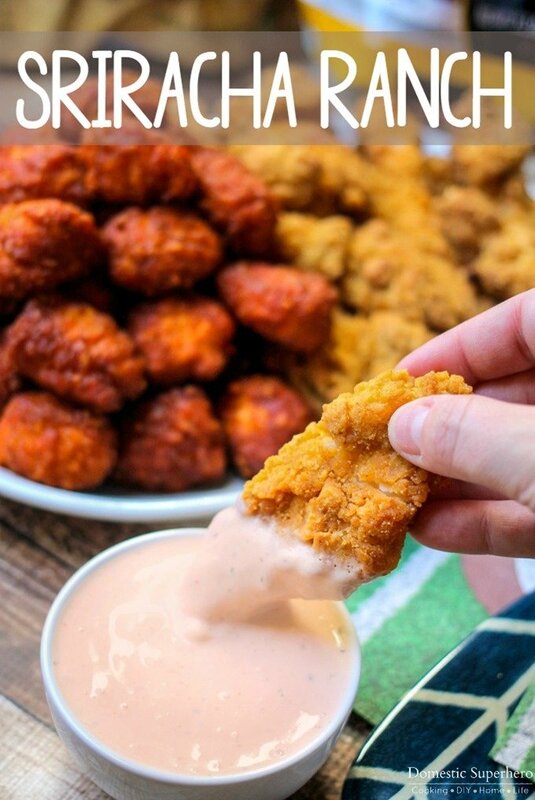 If anyone tries this recipe using an air fryer, I would be interested in finding out how they turn out. Thank you!! I am in love with bloomin onions!!! Unfortunately I can’t sit at Outback every week and eat them endlessly. I am so excited to try these at home. And not have to be embarrassed by how many (or how quickly) I eat! This made me LOL! I hope you enjoy them!!! Dont forget the sauce! I am so happy you loved them!! !